One of the greatest Bobby Hutcherson albums for Blue Note – a classic session recorded in quartet form, with a style that seems to set a whole new standard for the vibes in modern jazz! 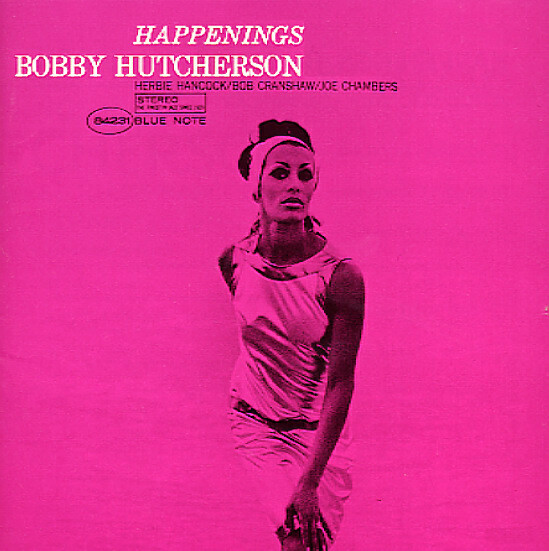 The group here is sublime – Herbie Hancock on piano, Bob Cranshaw on bass, and Joe Chambers on drums – all working with Bobby in cool, blocky chords, with a sound that lies somewhere on the road to "out", but has more of a swing than Hutcherson's "new thing" recordings! The balance is a perfect one – exciting and fresh, but still always soulfully grooving – and titles include a sublime version of Herbie's "Maiden Voyage" – plus originals by Hutcherson that include "The Omen", "Aquarian Moon", "Rojo", and "Head Start". © 1996-2019, Dusty Groove, Inc.